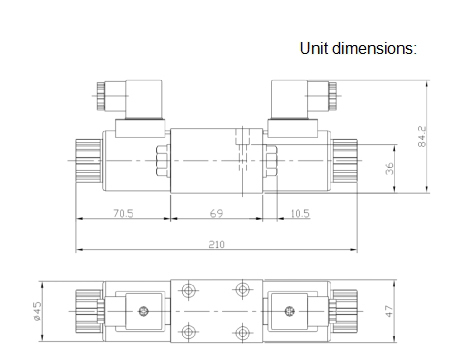 1/8 solenoid operated directional Yuken DSG-01 hydraulic valves, the power is 6 W,about 1/5 of Yuken DSG-01 series (29 W),and can reduce a lot of running costs.Maximum operating pressure is 32 MPa and maximum flow is 63 L/min, identical to Yuken DSG-01 series yuken type hydraulic valves,the valves can provide high pressure and high flow with low pressure drop,features can be materialized by taking use of powerful wet solenoid and rational flow channel. 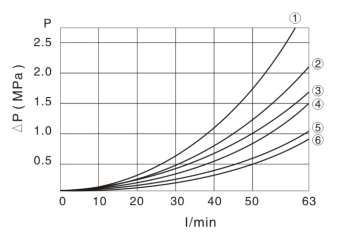 Max.Operating Pressure: approx.10% increased 31.5^35 MPa. Max. T-Line Back Pressure: approx. 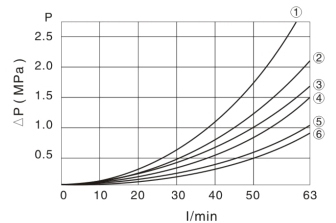 30% increased 16^21 MPa. Low Pressure Drop: Pressure drop of these valves can be reduced by 10 % from 1.0 to 0.9 MPa (145 to 131 PSI), by comparing to existing lines*; the valves can effectively reduce energy consumption . 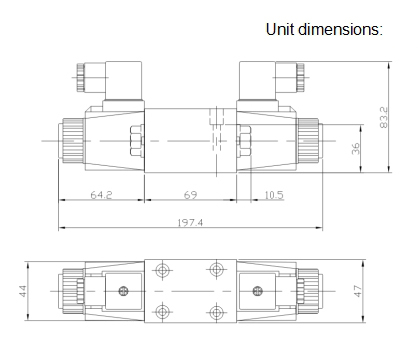 With characteristics compact and light weight, even with high pressure, high flow and low pressure drop, these valve bodies with DC double solenoids are compact and weight is light; overall length and weight can be reduced from 210 to 205 mm (8.26 to 8.07 inch) and from 2.2 to 1.94 kg,respectively. In addition to the standard valves,shockless type are available in high pressure and high flow, and can eliminating noise and vibration in piping when spool changeover is available. 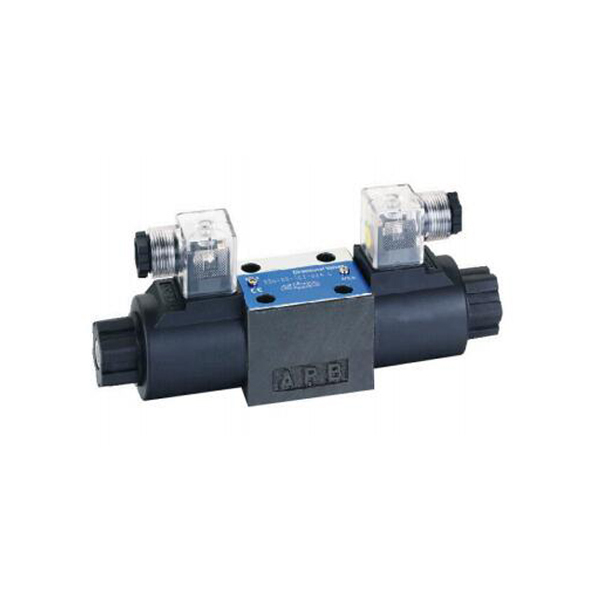 Due to the powerful magnetic and spring force of the solenoids,shockless type can operate stable,and these valves are antipollution,especially in stable operation. IP65-is equivalent to high dust-proof and water-proof. With characteristics of dust-proof and water-proof. Products can be used on various situation and had passed CE standard. In addition highly reputable solenoid operated directional yuken standard hydraulic valve series,we had put production of “energy-saving solenoid operated directional Yuken valve DSG-01” with high pressure and flow,which can reduce holding power. 1.Manual reversing Yuken DSG-01 direction control valves:manual valve is use of the manual lever to change the spool position to achieve the reverse. 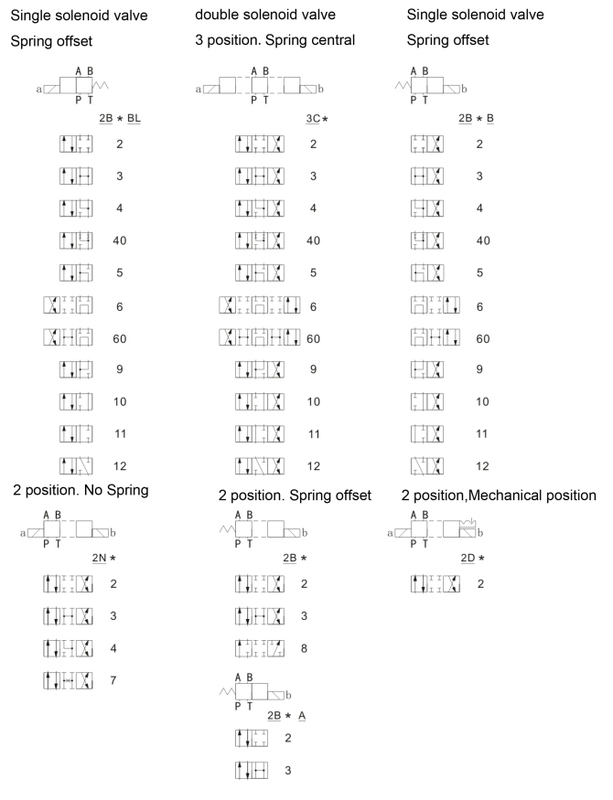 2.Motorized reversing direction control DSG 02 valves: also known as stroke valve, it is mainly used to control the movement of hydraulic machinery parts, which is the use of a block on the working table or cam to force thespool to move, so as to control the flow direction of oil. Motor reversing Yuken DSG-01 valve is usually two position, there are two way, three way, four way and five way of two position directional control DSG 02 valve.Two position two way and two position three way directional control valve divided into common open and common closed. 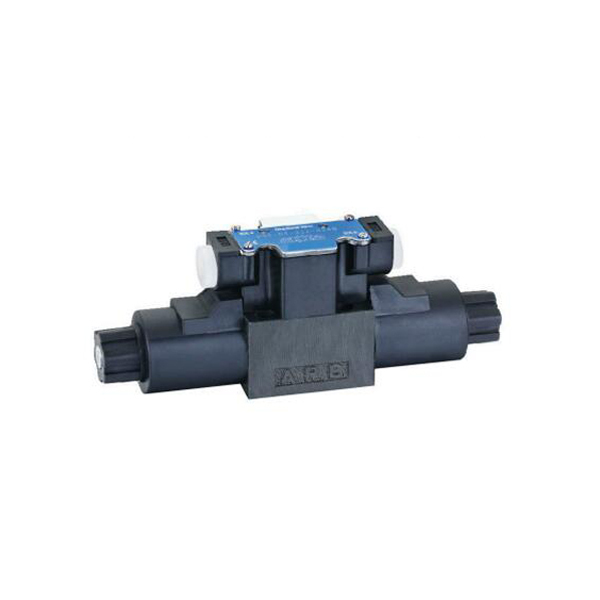 3.Solenoid direction control DSG 02 valve: using the power of the electromagnet(on/off) to directly promote the valve core to control the oil port connected state. 5.Electro hydraulic reversing valve: by the combination of electromagnetic valve and hydraulic directional control DSG 02 valve. 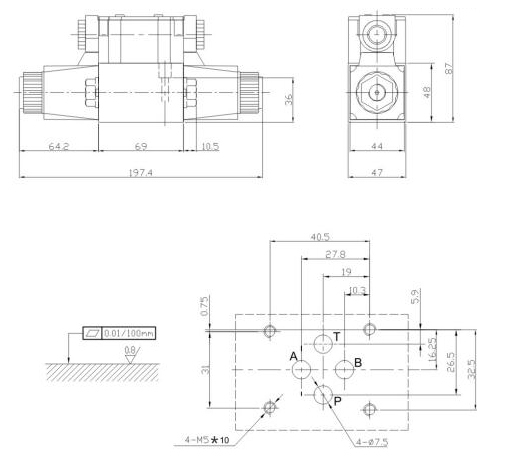 Solenoid direction control valves play a leading role, it can change the direction of the flow, so as to change the position of the hydraulic directional control valve. 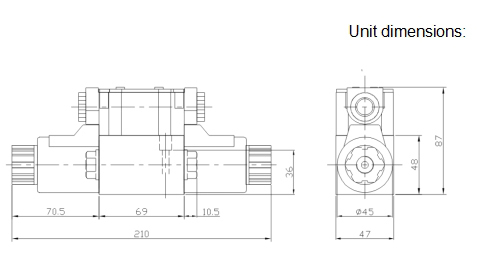 Because of the hydraulic pressure of the hydraulic directional control valve can be very large, so the main valve can be great, allowing a greater flow through. Such a small electromagnet can be used to control large liquid flow. 6.Proportional solenoid direction control Yuken valve DSG-01: the proportional direction control valves control the movement of the valve core with the electromagnetic force generated by the electromagnetic coil of the valve core, control the direction of the valve spool displacement by controlling the coil current, so that it can control the direction and flow of oil flow.